Dreams of an expanded Marvel Cinematic Universe that includes 21st Century Fox properties including X-Men, Fantastic Four, and Deadpool may have just been crushed. Comcast has confirmed that they intend to offer Fox a much better deal than what Disney is currently offering. Comcast's new move may have just sparked the largest all-time merger battles in entertainment industry history, which is throwing a serious monkey wrench into Disney's future plans with the Fox properties. Disney and Fox have agreed to a $52.4 billion deal, but that deal is all stock. While no exact number has been revealed, it's believed that Comcast is prepared to offer at least $60 billion in cash for Fox, which is a much better deal. Comcast has been gathering funding for the past several months and it's now believed that the bid is in the "advanced stages." Comcast made their offer public today because of the filing of SEC documents by Fox and Disney in preparation for special shareholder meetings. 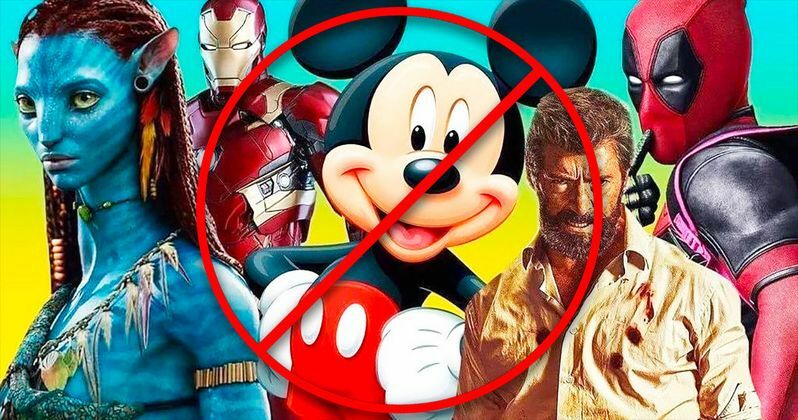 This summer's meetings with Disney and Fox shareholders was reportedly set up to take a vote about the proposed $52.4 billion all-share deal. Sources indicate that many in the Fox camp were not satisfied with the all-share deal that Disney had put on the table leading to questions about a cash deal. Comcast was in the early bidding stages late last fall when Disney edged out the competition with their all-share deal that could be set aside at the moment. While the deal seems perfect for Fox, several industry sources wonder how Comcast would end up in the long run after taking on so much debt, which would reportedly be at $164 billion after the proposed merger. Many fans of the Marvel Cinematic Universe were starting to get very excited at what looked to be a done deal. The idea that Fox's Marvel properties would return home was almost too good to be true, which may now be the case. However, even though Fox accepted the initial bid, there were still shareholder votes and other regulatory red tape to go through since the planned merger is so large. Comcast has yet to outbid Disney, but they have announced their intentions to do so at a pivotal moment when shareholders are expected to take a vote. Regardless of what happens, the Disney/Fox deal was not expected to be complete until the summer of 2019, and that's if everything runs smoothly. Comcast could have potentially killed the original deal with one announcement. As previously stated, there are some pretty big cons if Comcast takes on that much debt, but it doesn't seem like Fox would really care about that aspect. Disney could end up making a counter offer to sweeten the deal by adding some cash into the mix instead of the initial all-share deal. You can read more about Comcast offering a sweeter deal in the Disney Fox merger at Deadline.